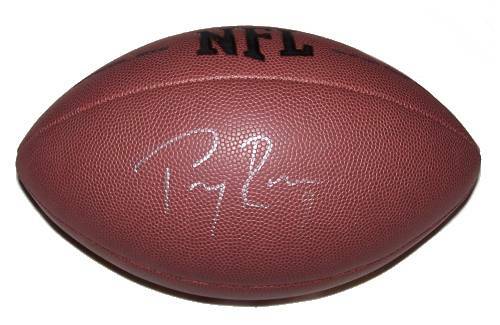 A Wilson NFL football signed by Tony Romo of the Dallas Cowboys. Comes with a Certificate of Authenticity. Tony Romo is a professional American football quarterback currently playing for the Dallas Cowboys. Romo's career passer rating - at 95.6 - ranks third-best all time. Romo replaced the Cowboys' previous starting quarterback Drew Bledsoe during a game against the New York Giants in the 2006 season ~ Wikipedia.